SJ Parris is the pseudonym for journalist Stephanie Merritt. She is the author of four books in the Giordano Bruno series. The first book in the series, Heresy, was published in 2010. It was followed in by Prophecy in 2011 and Sacrilege in 2012. Treachery is the fourth book in the Giordano Bruno series and it has just been published. Where did you first encounter him (as he is based on a real person) and what made you decide to use him as a character? I first came across Bruno when I was a student researching occult philosophies in Renaissance literature. His life and ideas fascinated me and I began reading everything I could about him with the vague notion of putting him in a book one day, since I thought all the drama in his travels would lend itself perfectly to fiction. But it was over ten years later that I came back to the project in earnest. Have you always been fascinated by the period in history featuring Queen Elizabeth 1 and Sir Francis Walsingham? It is full of political intrigue and spies. I’ve always loved the Tudors and I think all the uncertainty created by the religious conflicts in England and Europe at that time do provide rich territory for fiction and drama. When I read about the theory that Bruno might have worked as a spy for Walsingham while he lived in England, I knew that was my way in to his story. There’s no conclusive proof, but as the basis for a fictional series, the possibility is good enough for me. The latest book Treachery features Sir Francis Drake as he prepares to sail from Plymouth. What was the impetus for the storyline? This story began with Sir Philip Sidney, who’s been Bruno’s friend since the first book. I wanted to explore that relationship in more depth because I knew they would soon have to part company (they both left England in the autumn of 1585). 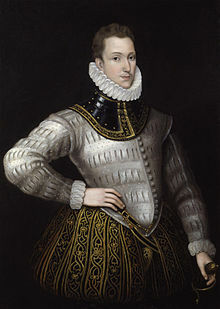 I came across this story about Sidney being sent as an envoy to Drake’s fleet in Plymouth in August of 1585; Sidney had fallen out with the Queen and was secretly planning to set sail with Drake without her permission. I immediately loved the drama of that situation and decided to have Bruno travel with him, to give them the adventure of a journey and an unfamiliar environment. So a lot of the background is based in historical fact, though in reality Bruno never made that journey. Now that you have written four books, is there anything you wish in hindsight you would change about your character? I don’t think hindsight is particularly useful for a writer, unless it leads you to change things in future books. You have to keep looking forwards. I feel that Bruno is developing naturally over the course of the series so if I want to change aspects of who he is, I can think about that with each new book. But I don’t look back and wish I’d done it differently. You have written four books so far featuring Giordano Bruno. Have you a favourite and if so which one is it and why? I have a lot of affection for Prophecy because I enjoyed writing about the relationship between Bruno and Dr John Dee, who has always intrigued me as a character. He’ll be returning in a later book. But probably Sacrilege, because I started feeling bolder about developing my Bruno beyond the constraints of the historical figure. What next for Giordano Bruno? The next book in the series will see him returning to the court in Paris, where he meets up with some of the characters readers will know from Prophecy and still ends up on the wrong side of the Catholics. I’m also working on a series of novellas, to be published as ebooks that will look back to Bruno’s youth in Naples and give a bit of back-story. The first one of those is out in June. Your first novel Heresy was shortlisted for the CWA Ellis Peter Award in 2010 and Sacrilege was long-listed for the Theakston Old Peculair Award. Did you feel that there was added pressure on you as a result of being nominated? Historical crime novels have a huge following especially it seems book set in the Tudor period. What do you feel is the appeal that keeps on drawing readers back to the stories? I think a big part of the appeal of historical crime is that it allows a return to the days of the amateur detective, who relies on their intuition and wit to make deductions. In contemporary crime it’s very hard to have a hero or heroine who is not a professional police officer (or some related profession) as investigations rely so heavily on forensics, DNA, CCTV etc. I find all that fascinating, but I think there’s still a great affection for the Holmes/Marple type detective, and going back in time gives writers the scope to create that. The Tudor period is endlessly intriguing, because the political situation was so volatile and there were so many high-level conspiracies. Walsingham created a nationwide intelligence service, so there’s the espionage angle as well, and it really was a matter of life or death. Is there one particular novel that had an impact on you that made you decide to write an historical crime novel? It has to be The Name of the Rose. I’ve read it more times than I remember, but I was 18 the first time and I was blown away - it completely changed my idea of what a murder mystery could do. You are also a journalist. How do you manage to juggle the competing priorities? I write full-time now so the journalism fits around the books. But I feel very lucky to be able to do both – writing is a solitary business and journalism allows me to keep a foothold in the real world. Have you got a favourite recurring crime fiction hero/detective? And if so which one and why? I read a lot of PD James in my teens so I was very fond of Adam Dalgliesh. And of course Inspector Morse. More recently I’ve become attached to Jo Nesbo’s Harry Hole – he’s a complete car crash of a man and still a brilliant detective. But I love the strong, smart women in the recent Scandi TV series – Sarah Lund and Saga Noren are so original and different. I’d secretly like to be a mixture of both of them - I’d wear Lund’s jumper and Saga’s trousers. Finally, what question would you like readers to ask you or ask about your character that you haven’t been asked and what is the answer? I don’t think anyone’s ever asked me if I see myself in Bruno. And the answer is yes, of course – that’s what attracted me to him, on some unconscious level. It becomes clearer as you flesh out a historical character – I think it’s unavoidable that you imbue with parts of yourself.